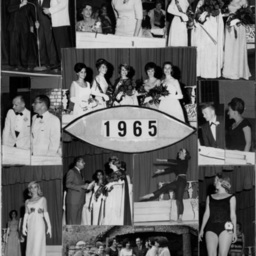 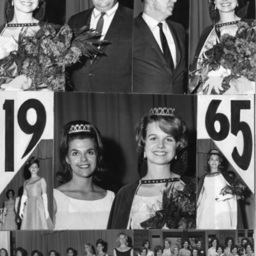 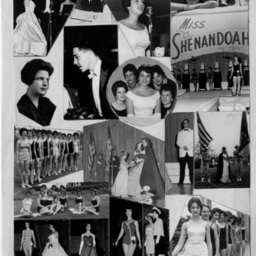 Photograph taken by William Hoyle Garber showing a collage of images from the Miss Shenandoah Valley Pagent in 1965. 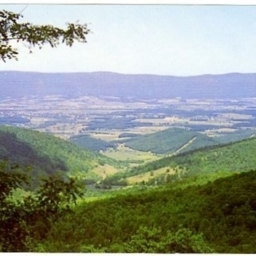 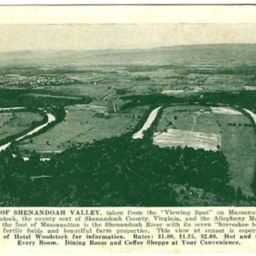 Postcard showing a view of the Shenandoah Valley of Virginia taken from the Massanutten Mountain Range. 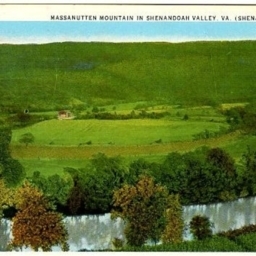 Colorized postcard showing a picture of the Massanutten Mountain and a portion of the Shenandoah Valley in Virginia. 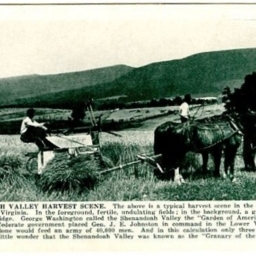 Postcard with a photograph of men and horses in a "harvest scene" in the Shenandoah Valley. 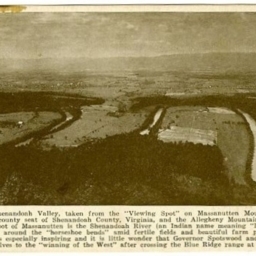 It icnludes a description of the valley's agricultural history. 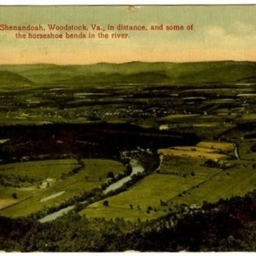 Postcard with a picture and description of the Seven Bends of the Shenandoah River located just west of Woodstock Virginia. 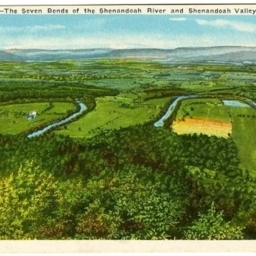 Color postcard showing the Seven Bends of the Shenandoah River located just west of Woodstock Virginia. 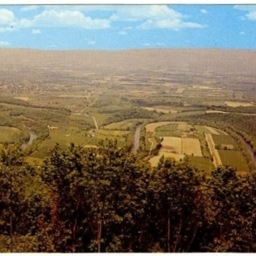 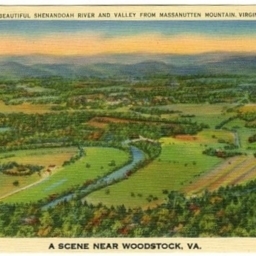 Color postcard with a photograph of the Seven Bends of the Shenandoah River and part of Woodstock Virginia as shown from the Massanutten Mountain. 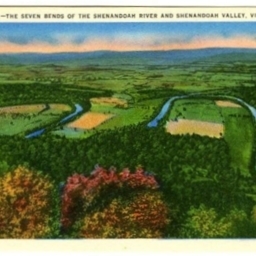 Color Postcard showing the part of the Seven Bends of the Shenandoah River and the Shenandoah Valley near Woodstock Virginia. 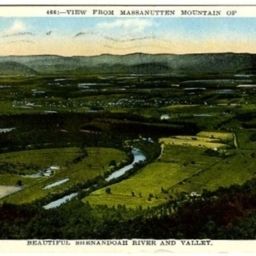 Take from the Massanutten Mountain. 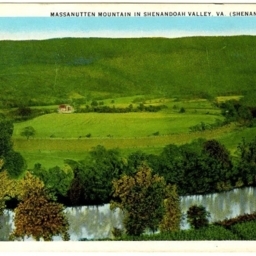 Color postcard with a picture of the Seven Bends of the Shenandoah River located east of Woodstock Virginia. 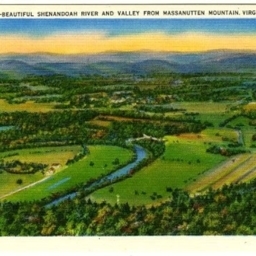 Color postcard with a picture of the Shenandoah River and the Shenandoah Valley near Woodstock Virginia. 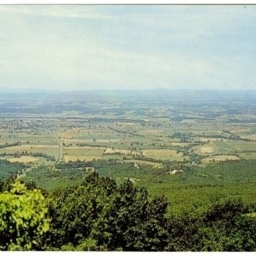 Taken from the Massanutten Mountain. 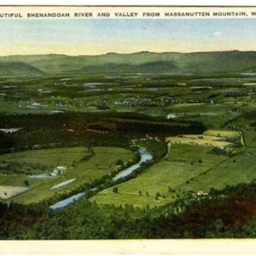 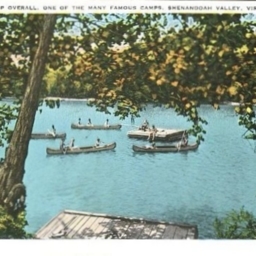 Color postcard with a picture of the Shenandoah River and the Massanutten Mountain (contained within what was then the Shenandoah National Forest) in Virginia's Shenandoah Valley. 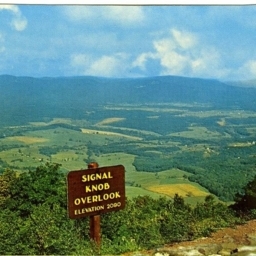 Color postcard with a picture taken from Signal Knob on the Massanutten Mountain showing the Shenandoah Valley of Virginia. 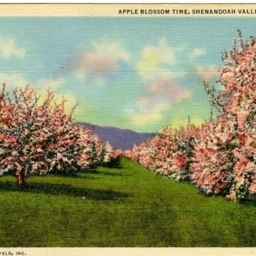 Apple Blossom Time, Shenandoah Valley of Virginia. 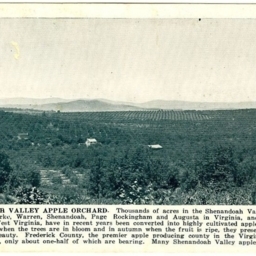 Color postcard with a picture of Apple Blossoms on trees in the Shenandoah Valley of Virginia.